After the acrimonious Great Flag Debate, the Parliament of Canada adopted the current Canadian flag, the Maple Leaf, and first flew it on 15 February 1965. The Maple Leaf replaced the Canadian Red Ensign as our unofficial national flag and the Royal Union Flag as our official national flag. Parenthetically, Diefenbaker and many journalists pronounced the flag’s name /ˈɛnsaɪn/ instead of /ˈɛnsɪn/. Despite my historical nostalgia for the Red Ensign, I would never seriously advocate for its official reinstatement; I grew up entirely under the standard of the Maple Leaf and know no other Canadian flag. From a marketing perspective, this flag makes Canada easy to identify on the international stage; and from a national perspective, it offers a simple, effective symbol of unity. Certain groups of course, such as some Quebec nationalists and secessionists, will never accept it, but the vast majority of Canadians do identify with the Maple Leaf. In fact, I argue that republicanism is more prominent in Australia and New Zealand (though especially the former) than in Canada partially because we adopted our own unique national flag that eliminated the Royal Union Flag from the canton; the Maple Leaf, therefore, may have deprived the republican movement in Canada of the perfect symbol of colonial subordination. 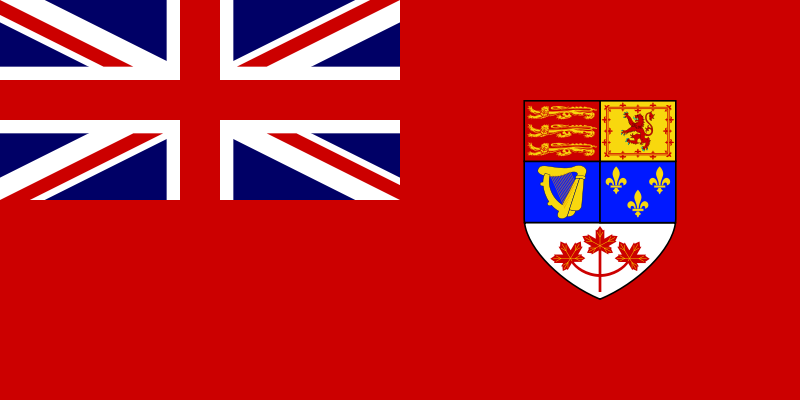 Prime Minister Pearson argued before the Legion that the Canadian Red Ensign confined Canada to a narrow ethnic identity and that the Maple Leaf would better serve as a unifying symbol, because the shield of the Canadian Red Ensign contains the English Lions, the Scottish Lion, the Irish harp, and the French fleur-de-lys. Just imagine: in the month of May or June, the Prime Minister said that he would have his flag by July 1st – he didn’t say “Dominion Day” because that’s an expression that’s taboo in the Liberal circles. Then he was going to have his flag by the time the Queen visited Canada. And then he was going to have a flag by Christmas. And when he found difficulty in achieving the latest of his predictions, he brought in a flag by closure. In his wonderful Scottish brogue, Douglas objected to Pearson’s invocation of closure and wanted to move onto other matters like pensions, but seemed to support the adoption of the Maple Leaf in principle. While I’d like to see the filibuster brought to an end, I don’t think that the government was justified in introducing closure, because in a way they painted themselves into this corner. By saying that he would have a flag before Christmas, […] the Prime Minister really forced the House into supporting closure or having a continued debate. […] I don’t think that this is the best way to get a flag. 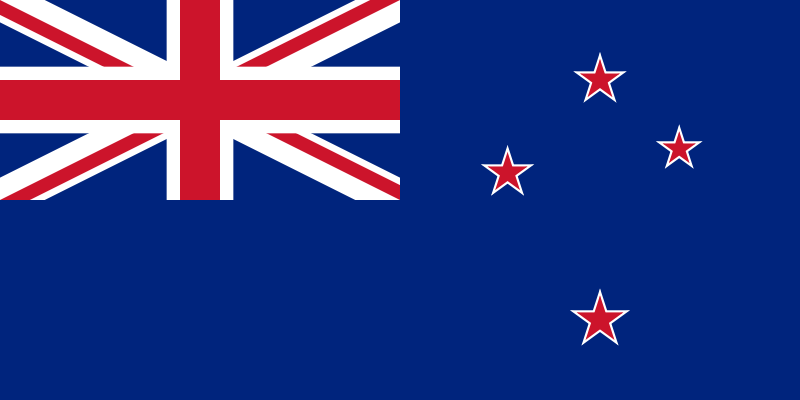 New Zealand’s flag also depicts the Union Flag in the canton and the Southern Cross. In Australia and New Zealand, the debate on removing the Royal Union Flag from the canton of their national flags serves as a proxy war for and has become inextricably bound up with the broader, more fundamental political question of preserving the current constitutional monarchy or abolishing it in favour of a republican form of government. In other words, it is difficult if not impossible to separate the two questions and advocate for a new, distinct national flag that erases the Union Flag from the canton while still arguing in favour of constitutional monarchy. 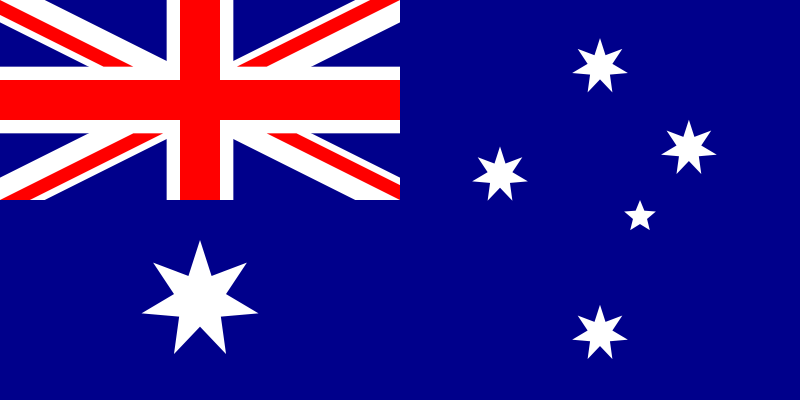 The current national flags of Australia and New Zealand both contain the Southern Cross (a constellation visible only from the southern hemisphere) and are therefore probably difficult to differentiate and have thus become symbolic lighting rods of debate around which both the monarchist defenders and republican detractors alike have coalesced, though flags should act as unifying national symbols that promote harmony. I hypothesize, therefore, that if Canada had kept the Canadian Red Ensign, it too would have become the symbol and standard-bearer of intense acrimony and disunity, completely politicized, and divisive. Australia’s 60 Minutes aired this documentary on the festering Australia Flag Debate and the typical boisterousness of Australians. The chairman of one of New Zealand’s republican groups argues that the debate on the flag and debate on the republic should be kept separate. Canada demonstrates that they certainly can be kept separate, but New Zealand may not be able to follow the same course. This entry was posted in Monarchism v Republicanism and tagged Great Flag Debate, John Diefenbaker, Lester Pearson, Maple Leaf, Red Ensign, Tommy Douglas. Bookmark the permalink. My ‘ideal’ flag for Canada would consist of: the ‘Union Jack’ would be located on the upper-left corner amidst the navy blue ensign. The white ‘fleur-de-lis’ would be located directly beneath the ‘Union Jack.’ The red maple leaf would be located in the right-half of the flag that would be surrounded by a narrow white ‘sheath’ inside the navy blue ensign. I have also long believed that the adoption of the Maple Leaf Flag seriously undermined republicanism in Canada. If I had been around in 1964 I would have opposed replacing the Red Ensign Flag. However, I absolutely LOVE the Maple Leaf Flag designed by George Stanley, and first proposed by him in March 1964 to MP John Ross Matheson overseeing the new Flag adoption. Red & White were declared as Canada’s official colours by King George V on November 21st 1921 which is why the Flag was Red & White without blue. The Maple Leaf is therefore partly a Royal Flag. I consider it to be one of the two most beautiful Flags in the World along with the Union Jack, and they are of the three most recognizable along with America’s Star Spangled Banner. We still have the British or English Ensign Flag in six of our Provinces — with Nova Scotia’ Flag appropriately modelled on Scotland’s St. Andrew’s Flag & Unicorn. I do however believe that the Union Jack should fly at Rideau Hall, and on one of the lower Masts on Parliament Hill as it does at Provincial Legislatures. The Union Jack,or Royal Union Flag to give it its proper name,should not be flown from any government buildings.It is the flag of a foreign country.Private citizens who are enamoured of all things British can,of course,fly it if they so choose. Ah, you’re actually wrong. The Union Jack / Royal Flag was adopted by Canada’s House of Commons as an alternative Canadian Flag symbolizing loyalty to the Crown back in December 1964. It is also a symbol of one of Canada’s Two Founding Nations. If you personally are not proud of Canada’s 519 years of rich heritage, then that’s your problem. Those of us who bear true patriot love of Canada will not allow people like you to tear down our heritage. Additionally, Great Britain is NOT a “foreign’ country to Canada. It is a sister Commonwealth Country, but much more importantly a sister Windsor Realm which shares our Crown. The Realms & Territories and Commonwealth Countries are not ‘foreign’ to each other which is why we have High Commissioners between us and not Ambassadors. Terry,I know perfectly well that the Royal Union Flag was adopted as the “Royal Flag” back in 1964.But…it is commonly regarded as the British Flag.To borrow another country’s flag is demeaning and Pearson stupidly gave it a status it didn’t and doesn’t deserve. (Probably to make the monarchists happy. )And to answer your question.I have no loyalty to the UK-or the Queen for that matter.To me it’s just another foreign country.My patriotism is based on Canada only. Your loyalty is not to THIS Canada. You aspire to throw this Canada into the garbage bin of history in order to create a new Canada which would be awfully similar to the United States. Republicans should only advocate that Canada become a republic if they believe that America is a better country than Canada. If you do not believe this, then advocating republicanism is illogical. Lester Pearson understood that a peaceful society exists based upon mutual respect for all cultures — including our great British culture. Your attitude of contempt for other cultures you don’t support is the way things are in America. I am not of British descent, but I am someone who loves ALL of Canada — not just bits and pieces of her! Those of you in the republican movement are NIHILISTS who seek to destroy not only Canada but this Family of 35 Countries & Territories united together by our common Crown. Monarchists will NEVER peacefully agree to throw away our beloved Royal Canada. If you’re old enough to remember the horrible schism caused by the Meech Lake debacle, then you know that republicanism will never sell in Canada. Canadian Republicans are delusional if they think otherwise. Look at this most recent May 2016 Poll which shows that fully 69% of Canadians support the Monarchy. It ranges from 70%-75% in English Canada, and even 56% in Quebec! Strangely enough, in Australia, it’s the other way around. Polls show stronger support for the national flag (and support higher still for retaining the Union Jack on it in some way) than the monarchy, in principle. The reality of the debate, of course, is that if Australia became a republic the flag would be sure to go – and this argument strengthens the monarchist position in the republican debate here. So you’re saying that a larger proportion of Australians want to retain the current flag than those who want to retain the Crown of Australia? If so, I would find that state of affairs unusual and contradictory! This poll is out of date, but it is from the “gold standard” of Australian polling – Newspoll – and it shows that there is strong support for retaining the flag regardless of whether Australia becomes a republic. Of course this is not likely to last long, should Australia become a republic (which isn’t likely). The “No” case in 1999 deployed fear of the Australian flag being changed as an argument to resist a republic. Very interesting post. I especially enjoyed the videos. I hadn’t thought about it before, but I think you’re right that we’ve saved ourselves a lot of needless debate by having approved the Maple Leaf in 1964. Personally, I think it’s a visually stunning symbol for Canada. I like the Maple Leaf, but I would have preferred retaining the old “red, white, and blue” by placing blue bars at the ends of the flag (as on “Pearson’s Pennant”) in order to symbolize our national motto, Ad Mari Usque Ad Mare.